An hour later, the floor was stained with blood and paved with pulverized skeletons; twenty victims, strangled or disemboweled, formed a cortege for the Bohemian woman, whose tormentors had torn her apart with their teeth, their fingernails and their knives, in order to see whether she might not have a second treasure in her entrails. 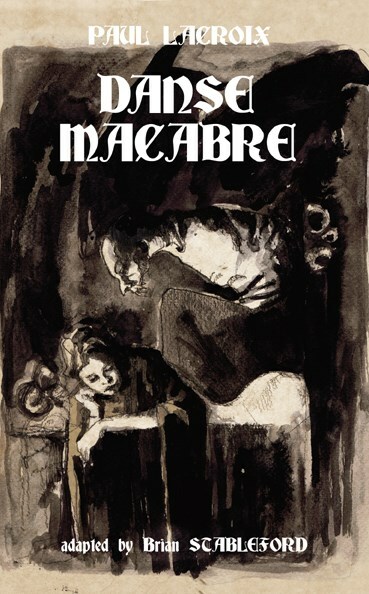 In Danse Macabre, set in 1438, the sinister Macabre lives in the cemetery of the Saint-Innocents in Paris, sleeping in a coffin with his wife Giborne. He has amassed a fortune through producing the eponymous play in a ghastly theater made of bones, and selling clothes stolen from the dead. His partner, Benjamin, falls in love with the wife of a nobleman, and plots to get rid of her husband, setting in motion a series of events marked by death, torture and disease against the background of the most sinister ossuary of all time. Danse macabre (1832) is not just a novel of great historical interest by Alexandre Dumas' best collaborator; it remains a powerful narrative, possessed of admirable intricacy and dramatic tension, as well as holding a horrific impact undiminished by time. Even today, its raw ferocity remains unmatched.